Another 67 wins & 120 nominations. C.S.I. is the best new show of the 2000 season! William L. Petersen is the coolest of the cool as Gil Grissom. I've followed his career since I first saw him in To Live and Die in L.A. He's an amazing actor and he heads up a cast of amazing actors as well. This show really keeps you on the edge of your seat as the investigators literally take a crime scene that appears to leave them with nothing to go on. The investigators take nothing and turn it into something amazing as each crime is solved right in front of you and you as the viewer, never see it coming! Wow! I hope this is one show CBS will pick up year after year! In season fifteen, Jared Briscoe''s (Mark-Paul Gosselaar's) mugshot number is 4815162342, the same as the mysterious number sequence from the television series Lost (2004). Catherine Willows: What's up, David? You find something? David Phillips: I was just thinking that I wouldn't be caught dead in those shorts. When the CSI's and detectives are interviewing someone or working a crime scene, they are never seen taking notes or sketching the crime scene. Real CSI's and detectives are constantly taking notes and sketching. The notes and sketches are so important that they are occasionally booked into evidence to ensure the originals will be available for review before trial. The UK & Ireland's Sky Living, Sky Living HD and Sky Living +1 channels show slightly edited versions of the episodes in their late night-early morning/breakfast time/daytime to remove the more graphic shots, as children may be viewing, as well as certain unsuitable story material for the time slot. Generally, the edits remove certain graphic crime scene/autopsy table/or sometimes dialogue, which are noticeable by strange music score jumps, and badly truncated dialogue pacing. Some entire episodes have been skipped over in these time slots, due to the underlying episode themes. 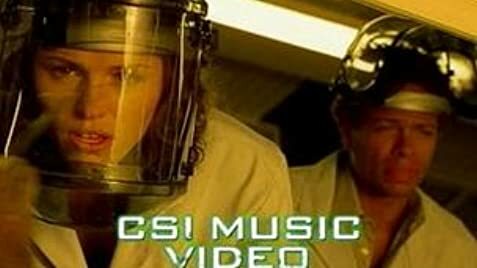 In late 2016, by comparison, the UK & Ireland's "Alibi" channel ran CSI:NY unedited in a late evening time slot.